• Statue of Our Lady of Guadalupe (The Grotto): The statue is approximately 4 feet tall, and is made of cast bronze depicting the Virgin Mary as she appeared to the Mexican peasant Juan Diego. She is surrounded by “rays” of sunlight, and the platform on which she stands is encased in stone representing the mountain. There are two bronze plaques on the front of the platform - one in English and the other in Spanish. 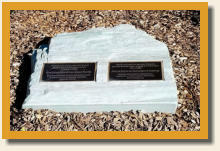 To view the texts on the two plaques, click here. 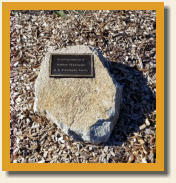 • Sponsorship Rocks: Olive Tree Rocks: Small rocks with bronze sponsorship plaques are installed in front of each olive tree, including the trees on the Alden Lane parkway. Gateway Markers: A large rock marks each entry to the Prayer Garden. These rocks are referred to as “Gateway” rocks. Each of these rocks has two bronze plaques. The texts on the two plaques are identical, with one in English and the other in Spanish. 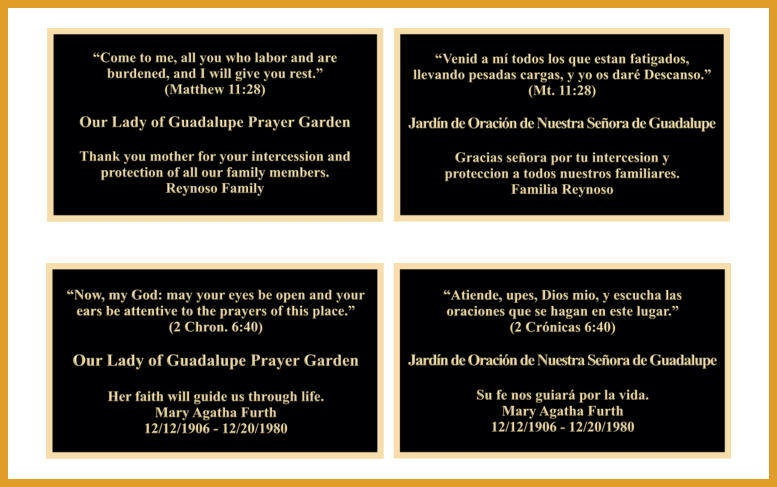 The texts on both pairs of plaques include a special prayer and the words “Our Lady of Guadalupe Prayer Garden”, with additional text specified by the sponsor of that particular rock. 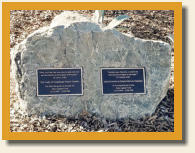 To view the texts on the two pairs of plaques on the gateway marker rocks, click here. • Cactus Plants: The Prayer Garden contains dwarf versions of the cactus plants traditionally associated with the appearance of the Virgin Mary in the Our Lady of Guadalupe vision. • Roses: The Prayer Garden contains many rose bushes. Roses are a very important element associated with the appearance of the Virgin Mary in the Our Lady of Guadalupe vision. Symbolism is a very powerful tool in creating a spiritual atmosphere. 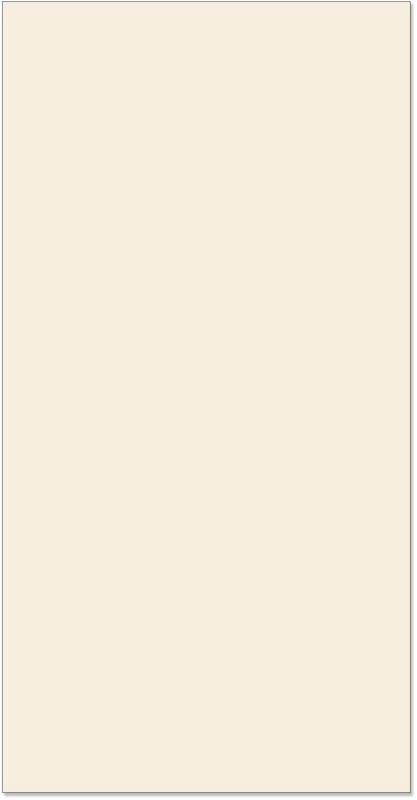 Certain events, and the setting for these events, have special meaning for Christians. The night prior to his crucifixion, Christ prayed in a garden. It was the garden of Gethsemane and it contained many olive trees. 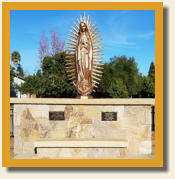 A major element of the Prayer Garden is the statue of Our Lady of Guadalupe as she appeared to a Mexican peasant. Tradition has it that she appeared to be standing on top of a mountain. The sun was behind her and rays of sunshine shown all around her. The mountain was strewn with many rocks and there were numerous cactus plants growing on the mountain as well as many wild rose bushes. We have made the inclusion of these significant symbols a priority in the design of the Prayer Garden. 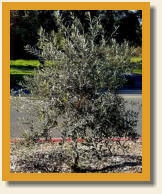 • Olive Trees: There are a total of 9 olive trees planted in the Prayer Garden. Five trees are located along the Alden Lane parkway and four trees are located in the Garden proper. The Alden Lane parkway trees were planted a year before construction began on the main part of the Garden, and there were sponsors for all five trees.